The M80s are the favorite 80s band in Kansas City! Get ready for an amped up, ragin' 80s adventure with the hottest dance hits of the iconic decade! 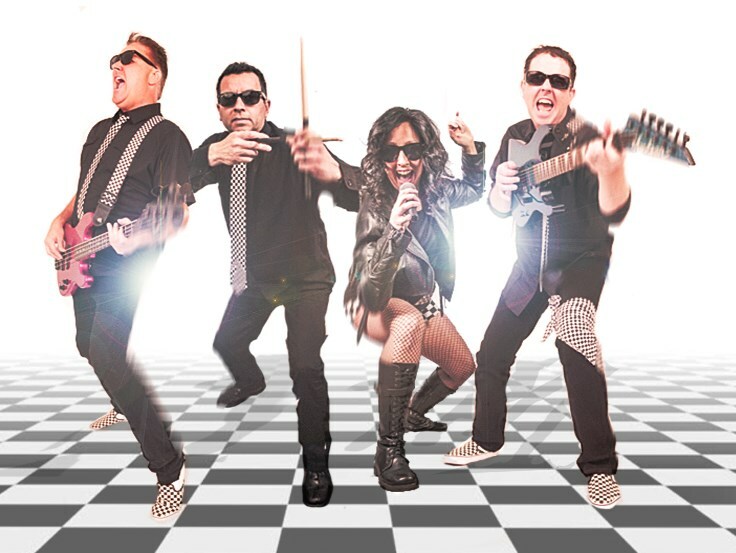 A night with The M80s band starts with high-caliber, highly energetic group who know how to pack the dance floor and keep the totally righteous party going. The M80s are not just another 80s band. This is a nonstop, pumped up party to remember. No parking on this dance floor! You want it...we got it...and more! 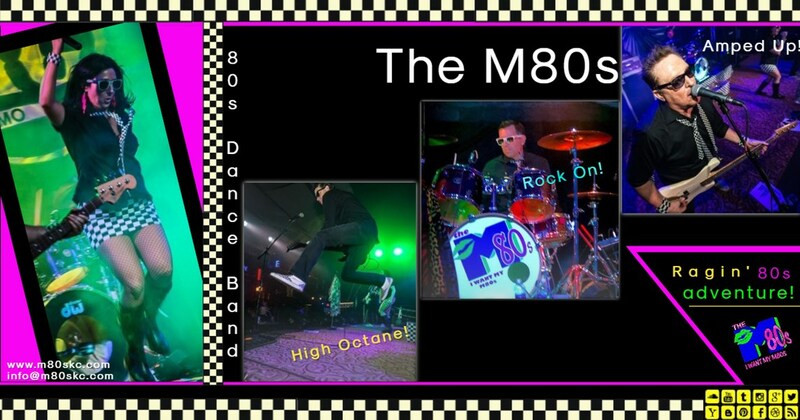 The M80s band has been rockin' the Midwest since 2008 with powerhouse vocals, top-notch song list, superior sound system and fantabulous light show. 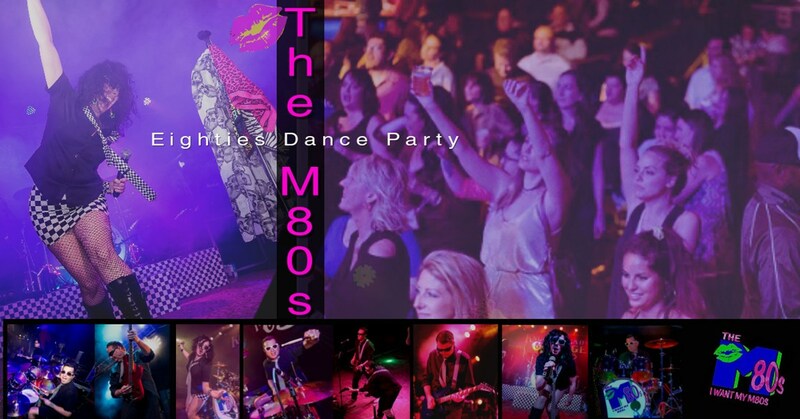 The M80s cover the hottest dance hits by Madonna, Michael Jackson, Prince, Duran Duran, Journey, The Go Gos, The Bangles, Banarama, B52's, The Cure, Van Halen, Frankie Goes to Hollywood, Bon Jovi, The Clash, Joan Jett, INXS, and many, many more. Proof is in the Pudding: The M80s band loves what they do and it shows! Our high-energy 80s show has entertained a wide-variety of festivals, charity events, corporate gigs, private parties and weddings. The M80s band has proven to be the right choice for several hundred clients and we have superior testimonials to share. Rest assured, your bodacious event will be one to remember! We booked the M80s for our wedding reception, and they were excellent. All the members are very talented and professional. Great vocals and musicianship. It was fun to work with them for our special requirements. Always friendly, enthusiastic, and truly happy to be there for our event. Everyone asked us where we found this terrific band! The M80s helped make our special day one we will always cherish. Thank you Bob, Curt, Eric & Monica!! Please note The M80s | Eighties Tribute Band will also travel to Shawnee Mission, Grandview, Raytown, Unity Village, Lees Summit, Lenexa, Overland Park, Belton, Independence, Raymore, Olathe, Stilwell, Sugar Creek, Greenwood, Blue Springs, North Kansas City, Riverside, Edwardsville, Peculiar, Cleveland, Gladstone, Grain Valley, Bonner Springs, Spring Hill, Liberty, Pleasant Hill, Bucyrus, Gardner, Lone Jack, Clearview City.